Earrings There are 139 products. Elegant women's crystal earrings. Material: copper, rhinestones. Please select a type. 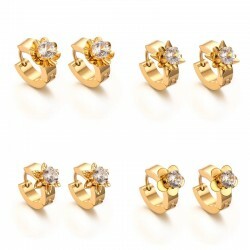 Set of women's stud earrings. Material: zinc alloy. Please select a type. 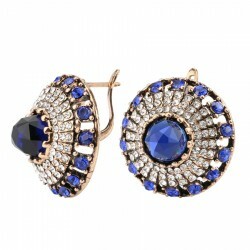 Elegant women's earrings. Material: zinc alloy. Please select a color. 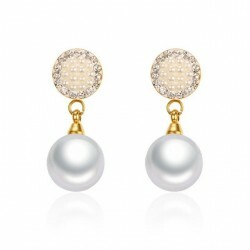 Elegant women's earrings. Material: zinc alloy, stainless steel. Size: ~ 1.8 * 1.8cm. Please select a type. 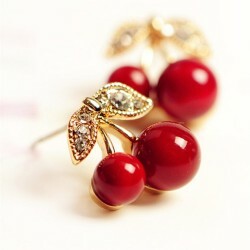 Red cherry women's earrings. 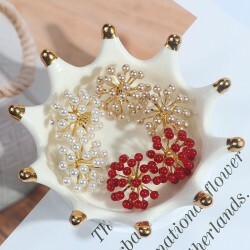 Material: alloy, enamel, rhinestones. Size: 1.5 * 1.5cm. Weight: 5g. 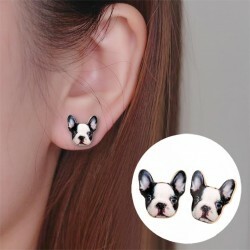 Women's stud earrings. Material: copper. Size: 11 * 12mm. Please select a color. Ladybug women's earrings. Material: sterling silver, enamel, rhinestones. Size: ~ 0.9 * 0.2cm. Magnetic slimming earrings. Improves blood circulation & metabolism. Material: stone needle. Quantity: 1 pair. 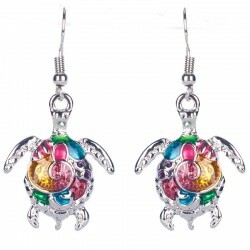 Colorful turtle women's earrings. Material: zinc alloy, enamel. 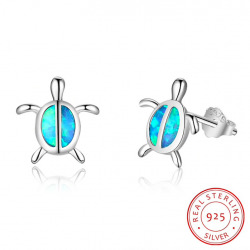 Blue turtle women's stud earrings. Material: 925 silver, opal. Size: 9 * 9mm. Weight: ~ 0.8g. 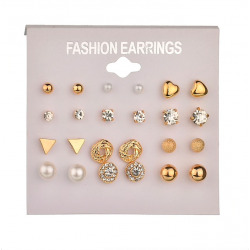 Women's stud earrings clips. Material: zinc alloy, enamel. Length: ~ 3.8cm. Please select a type. Rhinestone star women's earring. Material: alloy. Quantity: 1pcs. Size: 3 * 1 * 4cm. Heart & Rose women's stud earrings. Material: zinc alloy, rhinestones. Please select a color. Cross design earrings unisex. Material: stainless steel. Size: 10.5 * 31mm. Weight: 4g. Please select a color. Women's vintage earrings. Material: zinc alloy, crystals. Diameter: ~ 26mm. Weight: 17.2g. 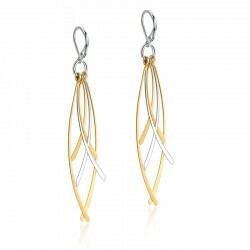 Long, elegant women' s earrings. Material: stainless steel, acrylic. Size: 53 * 15 * 23cm. Weight: 10.1g. Please select a type. 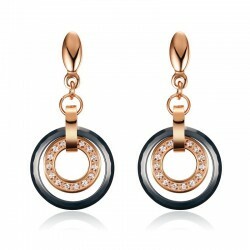 Fashion, gold women's earrings. Material: stainless steel, cubic zirconia. Size: 14 * 4 * 5mm. Weight: 4.7g. Please select a type. Women's long earrings. Material: stainless steel. Size: 78 * 12mm. Please select a color. 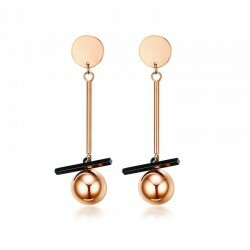 Ball & bar, elegant women's earrings. Material: stainless steel, rose gold plating. Size: 16 * 27mm. Weight: 4.1g. Double circle & triangle, women's earrings. 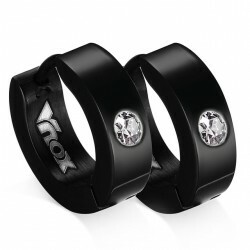 Material: stainless steel, rose & black plating. Size: 22 * 62mm. Weight: 8.7g. Natural stone, women's stud earrings. Material: stainless steel, rhinestones. Size: 58 * 8mm. Weight: 14g. Please select a color. Star & Moon, asymmetric women's earrings. Material: stainless steel, IP gold plating. Star earring size: 50 * 30mm. Moon earring size: 20 * 38mm. Weight: 9.6g. 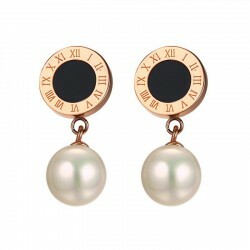 Pearl & Roman numbers, women's earrings. Material: stainless steel enamel, rose gold plating. Size: 23 * 8mm. Weight: 3.7g. Star & Moon, women's earrings. Material: stainless steel, rose gold plating. Long earring length: 42mm. 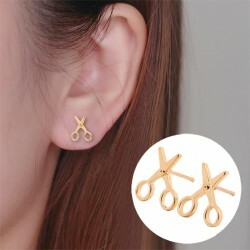 Short earring length: 27mm. Ring diameter: 15mm. Weight: 3g. Infinity geometric drop, women's earrings. Material: stainless steel,ceramic. Size: 8 * 35mm. Weight: 3.5g. 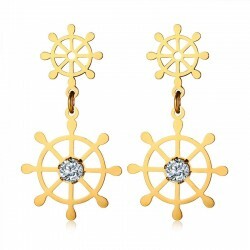 Rudder design, women's earrings. Material: stainless steel, cubic zirconia. Size: 17.5 * 34mm. Weight: 3.1g. Love Forever, vintage women'searrings. Material: stainless steel, enamel. Size: 18 * 8mm. Weight: 1.2g. Please select a color. Women's five-pointed stars earrings. Material: stainless steel. Size: 5.2 * 3.1cm. Weight: 8.6g. Women's irregular triangles earrings. Material: stainless steel. Size: 54 * 16 * 28mm. Weight: 4.6g. 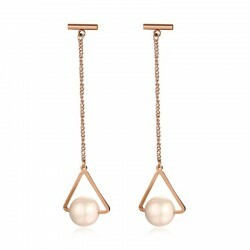 Triangle & pearl women's earrings. Material: stainless steel, rose gold plating, pearls. Size: 16 * 68mm. Weight: 3.2g. Asymmetrical stars women's earrings. Material: stainless steel, rose gold plating, enamel. Size: 16 * 24 * 70mm. Weight: 3.5g. 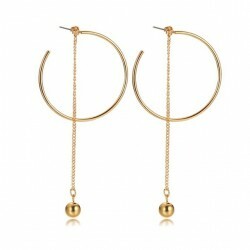 Ball & hoops women's long earrings. Material: stainless steel. Length: 10.2cm. Weight: 6.6g. Please select a color. Elegant crystal women's earrings. Material: stainless steel, pearl, rhinestones. Size: 9.8 * 25mm. Weight: 2g. 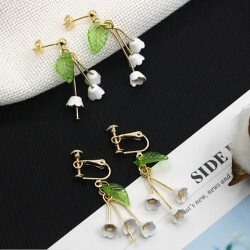 Women's long earrings. Material: stainless steel, rose gold & black plating. Ball diameter: 10mm. Length: 4.7cm. Weight: 10.7g. 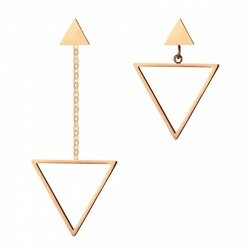 Asymmetrical triangles women's earrings. Material: stainless steel, rose gold plating. Long earring size: 47 * 19mm. Small earring size: 26 * 19mm. Weight: 1.4g. 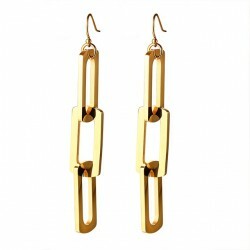 Ball chain women's long earrings. Material: stainless steel, rose gold plating, enamel. Size: 87 * 6.3mm. Weight: 1.3g. Gold & silver tassels women's earrings. Material: stainless steel, gold plating. Length: 81mm. Weight: 3.5g. 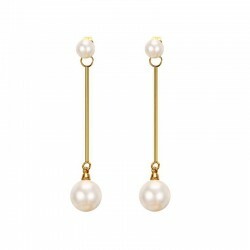 Women's long drop pearls earrings. Material: stainless steel, gold plating, pearl. Pearl diameter: 9.8mm. Length: 5.5cm. Weight: 2.4g. 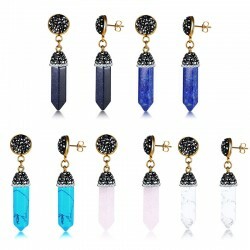 Crystal round women's earrings. Material: stainless steel, ceramic, zirconia, rose gold plating. Size: 17.3 * 37mm. Weight: 5.2g. Small hoops women's earrings. Material: stainless steel, gold plating, enamel. Size: 7 * 13.5mm. Weight: 5.7g. Please select a color. Small hoops earrings, unisex. Material: stainless steel. Size: 7 * 13.6mm. Weight: 6.6g. Please select a color. Hollow out hoops women's earrings. Material: stainless steel, gold plating. Size: 48 * 13mm. Weight: 6.8g. 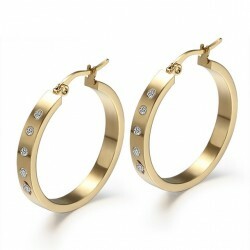 Women' big hoops earrings. Material: stainless steel. Size: 42 * 4mm. Weight: 10.7g. 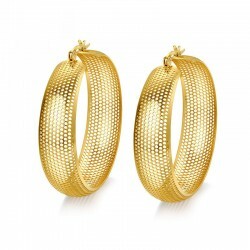 Women's big hoops earrings. Material: stainless steel, gold plating, rhinestones. Size: 46 * 6mm. Weight: 17.9g. 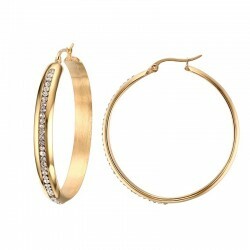 Big round hoops women's earrings. Material: stainless steel, gold plating, rhinestones. Size: 32 * 4mm. Weight: 9.76g. Big hoops women's earrings. Material: stainless steel. Size: 50 * 3mm. Weight: 8.7g. Small hoops women's earrings. Material: stainless steel, rhinestones. Size: 7 * 12mm. Weight: 6.4g. 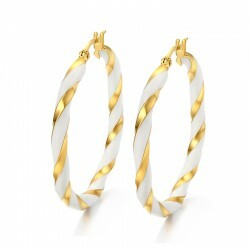 Gold & silver hoops women's earrings. Material: stainless steel. Size: 29 * 3mm. Quantity: 2 pairs. Hoop, small women's earrings. Material: stainless steel, cubic zirconia. Size: 12 * 4mm. Weight: 2.5g. Please select a color. 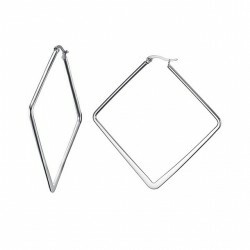 Silver geometric women's earrings. Material: stainless steel. Size: 68mm. Weight: 8.4g. 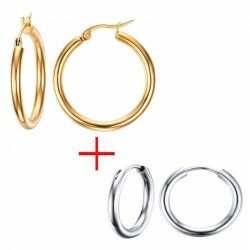 Simple big hoops women's earrings. Material: stainless steel. Please select a color.